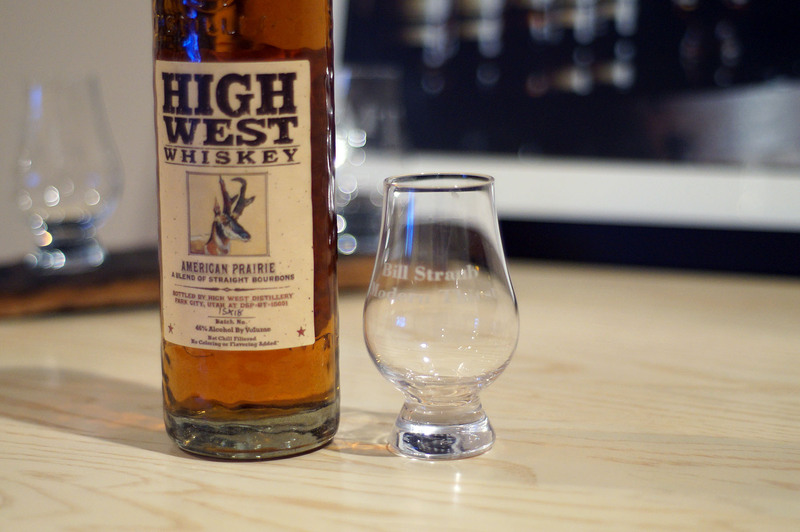 Remarkably sweet and drinkable for such a young bourbon, High West again shows its chops in finding great flavors from blending sourced whiskey. American Prairie is a blend of three different sourced whiskeys. 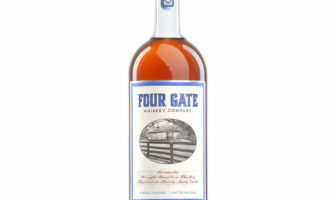 The first is a 2 year old straight bourbon from INdiana (MGP). 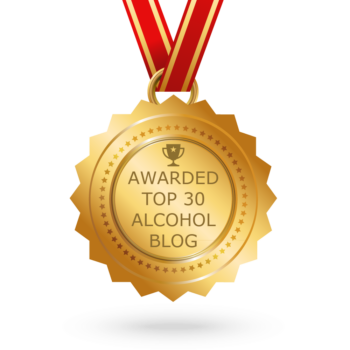 The second two are 6 and 13 year old straight Kentucky Bourbons from Four Roses, if sources are correct. Additionally, the Four Roses recipe is the “B” recipe with a higher rye percentage (60% Corn, 35% rye, 5% malted Barley.) Based on the taste, I’d guess OBSQ recipe. If that’s not enough, 10% of the proceeds from each bottle sold goes to the American Prairie Reserve Foundation, which is currently building the largest nature preserve in the lower 48 states. 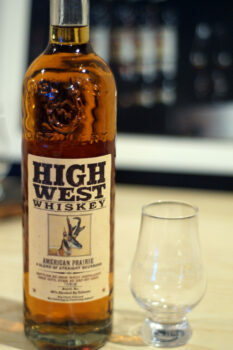 We’ve reviewed several High West products to date, and been pleasantly pleased with all of them. 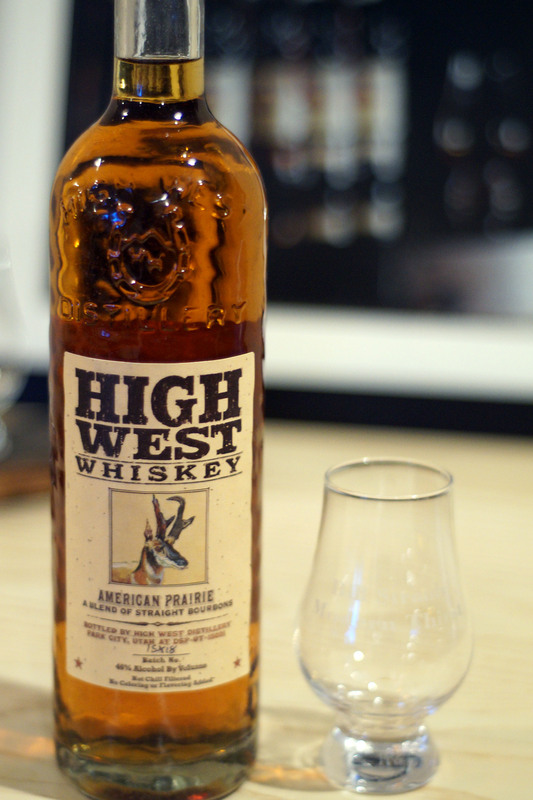 Like most High West products, American Prairie comes in a tall, attractive bottle with real wooden cork and “old west” style label. It’s nice. Strong aromas of bananas seem to jump out of the Glencairn for me. There is a lot of cinnamon spice and some nice oak aromas, too. The oak tends towards a young oak, not a long aged or overly charred note. Some sweetness lingers just behind that, perhaps vanilla bean and wedding cake? I’m sure the bulk of this whiskey is actually the 2 year old MGP whiskey, but MAN does this scream Four Roses on the tongue. The high rye is explicitly noticeable immediately, but it drinks so much like a sweetened, lower proofed OBSQ Four Roses that I’d have sworn it was that in a blind test. And it’s important to note that I said “sweetened” and “lower proof” because that makes this a unique product. It’s like Four Roses decided to release a mixture of OBSQ and OESQ with vanilla extract. Again, it’s all Four Roses here with a semi-long note of rye and oak lingering with the undercurrent of bananas. There’s an ever so slightly bitter tail on this whiskey, though it doesn’t become off-putting. 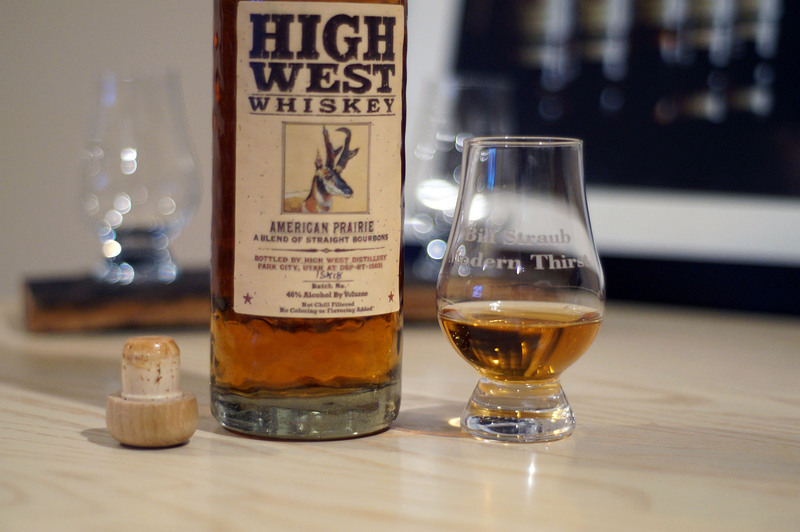 I continue to be pleasantly surprised with High West and its ability to coax new flavors out of blends of sourced whiskey. Considering their label clearly states “no coloring or flavoring added,” I think it’s somewhat remarkable that they are able to produce such a nice whiskey at this proof with such young stock. I’d love to try this at a higher proof, or with another year or two of age on the MGP juice, but ti’s a solid sip right out of the bottle for a pretty low price in this market. And 10% of that price goes to a good cause, so it’s hard to complain. Were this $60, I’d be more inclined to nit-pick, and at $100, I’d laugh. But under $40? It’s hard to complain at all. one of my fav bourbon! Many buy from elsewhere and bottle it under their own labels. Most do it when they first build their distillery while they’re waiting for their own product to age long enough to sell as well. There’s nothing unusual or wrong about it if they’re honest and don’t mislead. Gotcha! Thanks for the clarification, cheers. Just bought myself a bottle of American Prarie for the holidays just wanted to know my stuff before I start talking about it. Do you recommend any distiller that makes its own stuff ? 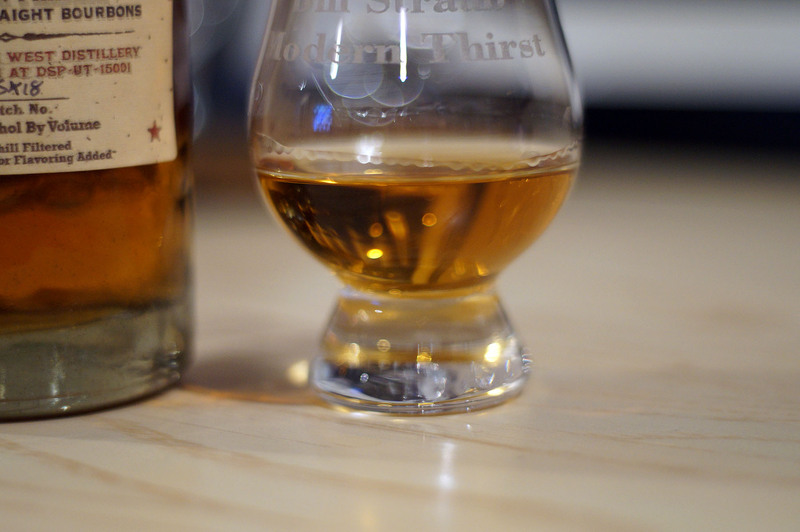 Stranahans if you like stuff from out west and malt whiskey rather than bourbon or rye. 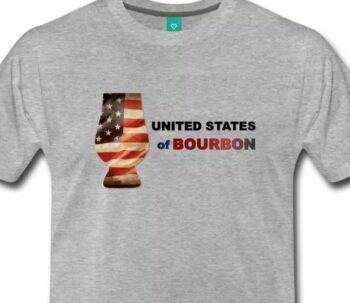 Anything Buffalo Trace (eagle rare, Buffalo Trace, etc), heaven hill brands (Elijah Craig, Henry McKenna 10 year, etc), Jim beam (knob Creek, Booker’s) wild turkey (ky spirit, Russell’s reserve, etc), four roses, 1792, any of the old foresters, are all heritage Kentucky distillers and make excellent stuff.